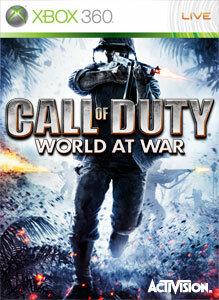 "Call of Duty: World at War Map Pack Bundle features the nine multiplayer maps and three co-op Zombie maps from Map Packs 1, 2, & 3. Fight through war-torn Berlin in “Nightfire,” battle through the waterfalls of “Banzai,” and defend an armored island in “Battery,” plus much more. Zombies and Hell Hounds attack in “Verrückt” (Zombie Asylum), “Shi No Numa” (Zombie Swamp), and “Der Riese” (Zombie Factory). Survive against the Zombie horde with the help of Perks-a-Cola machines, Monkey Bombs, and the powerful Wunderwaffe DG-2. This bundle features the 20 Achievements from Map Packs 1, 2 & 3."